This quote clearly defines the importance of a logo. Every company needs a logo. It gives a brand an identity that can easily be recognized by the audience. A well-designed logo motivates the audience who have no prior experience with the brand to believe that they offer an incredible product or service. Every year thousands of small businesses get started. Because of high competition, these companies need to find ways to attract the audience. For them, every new visitor or investor can be a potential client. In order to retain the attention, apart from products or services, they need to focus on the designs as well. Whether it’s a logo design, website design, or product packaging design, they should know that the audience gets attracted to the appearance first. As someone has rightly said, “A picture speaks thousands of words”. In many ways, it is for this reason that a lot of new, emerging startups have started putting a lot of attention into their identity. They know that a unique and impressive logo design can make a huge difference to their businesses. It can help them in communicating their objectives, goals, products, and services. We have chosen 10 startup logos that have been clearly and beautifully designed with a focus on both aesthetic quality as well as showing the business personality. Hope these logos will inspire you in creating your own design. 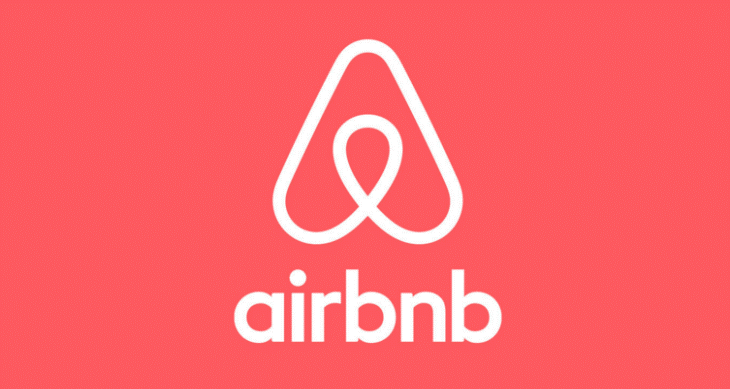 Since the time of the launch, the brand identity of Airbnb’s has evolved a lot. If you look at its original logo, you will that find that initially all the letters were rounded in lowercase on the blue background. In 2014, the company re-launched its brand identity and comes up with a new logo. The icon in the logo is created by combining another four different icons. And the best thing is they all have different meanings. But together they all form a simple and unique icon The Company has opted legible typeface which looks to be a perfect choice. The color has been changed to a coral red icon on white background. These changes seem to be hugely beneficial for the company. 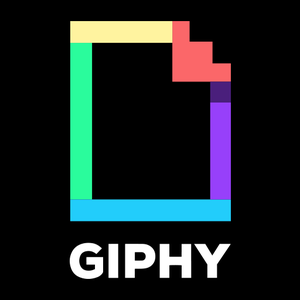 It is an online search engine and database that allows its users to browse and share short looping videos with no sound that looks like an animated Gifs file. In 2013, the company came into existence. According to PC Magazine it was recognized as top 100 websites in the same year. 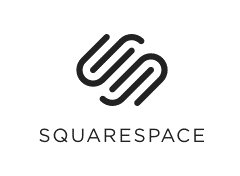 The square shape icon in the logo has been designed in different colors. The corner of icon appears as a pixilated file icon. The brand name is written all in white color—all in uppercase and placed outside the symbol. The simplicity in the logo has captured millions of minds. 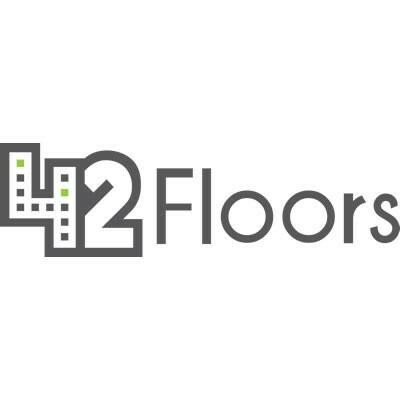 It is a startup company that helps other businesses to find and rent office space. One of the best things about their logo is that you get a clear understanding of what the brand is all about by just looking at it. You don’t have to go to their “About Us” section to learn about the company. The number 4 is designed in such a way that you can easily figure out they are in the real estate business. The font is simple, and the color is very neutral. The two green windows are a nice addition that immediately attracts the attention. We all know that it is one of the most popular messaging apps. The brand quickly gets popular because users loved the idea of sharing images that get deleted automatically from the receipts phone in just a few seconds. 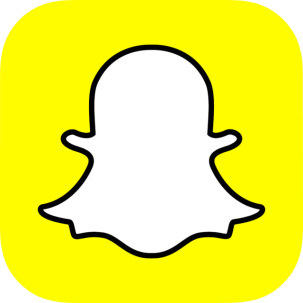 The ghost shape logo symbolizes the temporary nature of pictures taken on the app. Just like a ghost, you can see the images for a short time before they disappear. The background of the logo has a yellow color. The company decided to go for this color because first, they wanted to stand out and second no one had used this color before in their apps. A bold black line outlining the logo differentiates the yellow from the white color. Undoubtedly, the logo looks simple and clean even on small phone screens. Drones are very much popular and controversial. Even in the highly competitive market, where companies are finding it difficult to find their USP, Zipline managed to make a mark in the industry. The company delivers life-saving products through ‘Zips’ that is popularly known as ‘Drones’. In order to avoid any negativity associated with drones, the company did not use ‘drone’ word in their name and logo. Instead, the logo has two paper planes to form the letter ’Z’. This perfectly communicates their mission statement in a creative way. The red color used in the logo signifies the medical emergencies they tackle on daily basis. It is an online publishing brand that came into existence in 2012. The brand offers a beautiful interface to work on and an equally enjoyable reading experience with large type and no distractions. 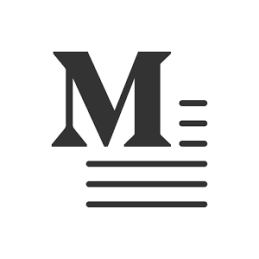 Everyone can publish its post on Medium all posts look same. There are no themes and no option for customization. The only thing that separates a post from another is the quality of the content. Ever since the company has launched, it has gone through various logo evolutions. In 2017, the brand has come back to its original logo with minor changes. The new identity included a logo that featured bold letter ‘M’ in black color on white background. There is an addition of horizontal lines on the right bottom corner of the icon. These bold black color lines are perfectly communicating their objective. A modern communication tool which was built to make communication among teams members easier and better. The company started its journey in 2013, and today it has become one of the most favorite tools for both big and small business. The logo of the brand is very interesting and catchy. The colorful hash icon depicts that it’s private. The logo has four base colors that overlap each other. If you closely look at the intersecting points, you will find another new color. It gives an additional nice touch to the overall image. The name of the company has been placed adjacent to the icon—all in lower case. The gray color seems to be a perfect choice as it is mainly related to products that solve problems and offer useful value. 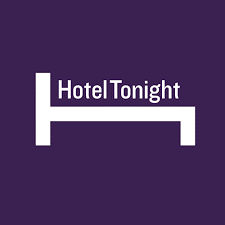 It is an online travel application that helps its users find hotel accommodation in the Americas, Europe, and Australia region. Launched in 2010, the founder Sam Shank wanted to come up with the design that not only looks innovative but inspiring as well. If you look at the logo, you will find it catchy and impactful. The icon has an uppercase ‘H’ that also forms bed shape. The ‘H-bed’ shaped logo with the brand name on the top conveys the company’s business and brand message effectively. The white and purple color in the logo depicts the cleanliness, royalty, and creativity. It is one of the best website builders, hosting services, and blogging platforms in the industry. Businesses and individuals can create, maintain and host their websites and blogs. The brand allows users to create their logos as well. Naturally, their logo has to be impressive. Every single aspect of the logo is a design masterpiece. From symbols to the use of negative space, each element is intentionally designed to suggest something. The brand has managed to put together two main elements – chain links and a double letter S. The chain links represent hyperlinks, which immediately remind customers of the kind of service they offered. The black color is used to show elegance, strength, and boldness. The company has opted sans-serif font that looks simple and clean. Consider it to be the online simpler version of notepad. Started in 2010, the company probably provides the simple cloud-based list-making app in the industry. 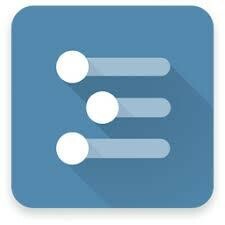 The unique feature of the app is that unlike other apps, you can make separate lists and keep every item in their respective category. The design of the logo revolves around its core functionality. It means writing thoughts into bulletin points and viewing ideas from a high level and effortlessly drills down into nitty-gritty details. The pastel blue color looks very professional which signifies trust and reliability. The name of a company defines the tone of an identity and the service expectations of potential customers. A logo further defines a business and helps the audience to easily recognize a company. If you are in a process of creating a logo for a new business, we hope that you take an inspabove-mentionede above mentioned brands and create a memorable and unique logo just like them. Which logo do you like the most? Let us know in the comments below. Need A Website Designer?-Contact Us Right Now! We’d Love To Build Your New Website!